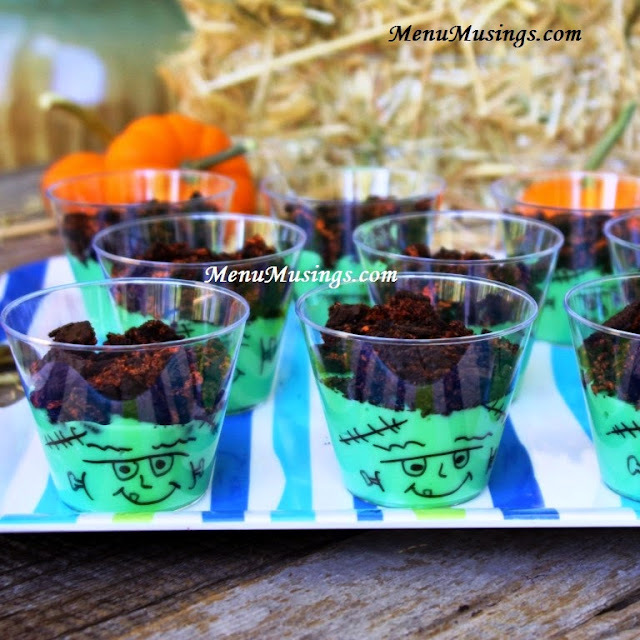 These cute cups will be perfect for our Kindergarten snack helper rotation tomorrow!! There is no real recipe, just use your imagination. 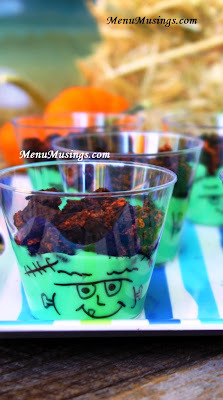 For the ones shown, we used vanilla pudding with green food coloring, topped with crushed up chocolate sandwich cookies. To decorate, I drew faces on the cups (beforehand) with a marker, and that's it!! No, it's not fruit. But they ARE made with a serving of whole milk, and you can choose the sugar free pudding if that's an issue for you. I think a 2% milk would be okay, but I would steer away from skim milk, as I'm not sure they would "set" well enough. Aside from all that, I think these will be lots of fun for the kids! They would also be really cute with orange food coloring and pumpkin/jack-o-lantern faces drawn on them.